Debby shares her travel adventures on Wanderlust and Lipstick! Located in the heart of Riga, Latvia’s city-center is one of the most elegant “quirky” museums that I have walked into during my travels. With more than 6000 faience (earthenware decorated with opaque colored glazes) and porcelain articles, The Riga Porcelain Museum is a definite must-see if you are ever in this city. 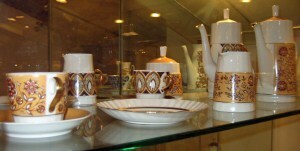 This museum contains the largest collection of local industrially manufactured porcelain, with objects dating back to the mid-19th century through the end of the 20th century. 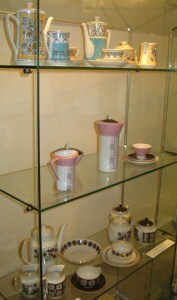 Displayed are a mix of some pieces that have been mass-produced, while others are one-of-a-kind works of art. 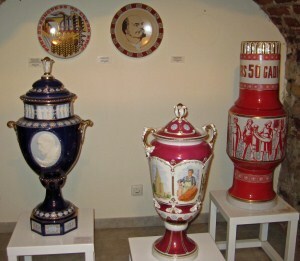 The porcelain in the museum originates from the Riga Porcelain Factory, which is a combined effort of the two oldest porcelain factories in Riga. The oldest and largest of these dates back to 1841, and was founded by a Russian entrepreneur Sidor Kuznetsov. The second factory was founded in 1886 by German entrepreneur Jacob Jessen. For almost 80 years, these two factories worked side-by-side until 1963 when they were united to be the renamed Riga Porcelain Factory. During my wandering around the various rooms of the museum, I saw objects from glorious vases to figurines of people and animals. 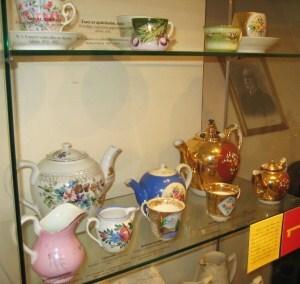 There were many items that you would find in kitchens and dining areas, such as dishes and bowls; tea cups and saucers; tea, sugar (a dream – pun intended) and coffee pitchers; and entire dinner sets. 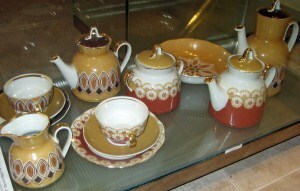 All this and more in so many various sizes, shapes, colors, designs, patterns, styles, paintings, and motifs. 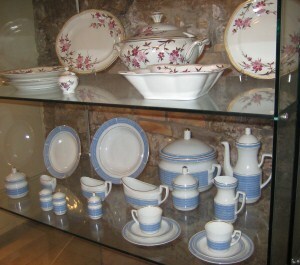 Facts and history about porcelain courtesy of the Riga Porcelain Museum and Wikipedia.